CVRT Jan 20 -Air Con -Auto Start Stop -Multi Function Steering Wheel -Cruise Control -Bluetooth -Auto Hold -Electric Windows -Electric Mirrors. 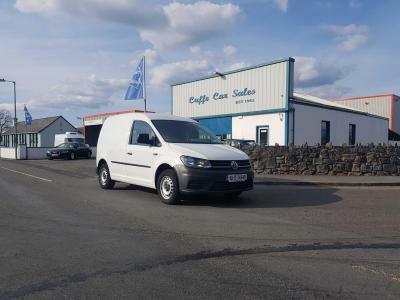 **Own this car from €49 per week, deposit/trade in €4200, Terms and conditions apply** Another Quality Used Van from Cuffe Car Sales over 50 Years in Business, This van comes fully serviced, DOE tested, SIMI history checked and with dealer warranty. Call for Test Drive 094-9032086.